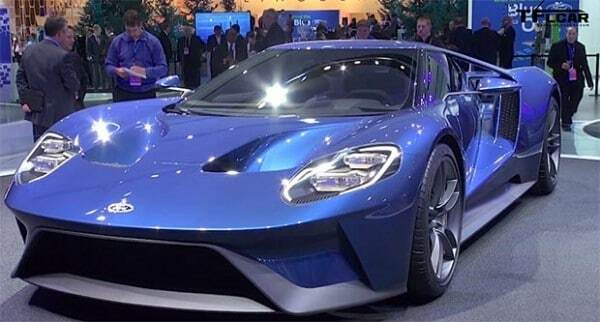 To say that Ford’s new premier car will come with a hefty price tag, would be a huge understatement. If everything goes according to plan, the new Ford GT will become the most expensive car the American automaker ever designed. With a basic price starting at around $400.000, the all-new Ford flagship model will cost roughly the same as the Lamborghini Aventador. Dave Perciak confirmed the rumors about the price at the Geneva Auto Show, but a last minute change would not be anything extraordinary. The price range is usually the most sensitive aspect of a new car’s launch. If the price will indeed hold up, the new iteration would beat out the 2005 GT (Ford’s previous priciest car) by a rather significant margin. The starting price of the 2005 version of Ford’s legendary series was around $250.000, a good $150.000 less than what the new iteration promises to cost. The upcoming GT won’t just be pricier, it will be more exclusive as well. While the company has built as many as 4,038 units of the 2005 version, there will be only 250 new GT’s available for the customers on a yearly basis.